After comparing these three sewing machines based on metrics such as speed, durability, threading ease, built-in stitches and price-to-performance ratio, we have found that Singer 4411 Heavy Duty is the best sewing machine for beginners. Its motor is 60 percent stronger than similar models. It’s also very sturdy and durable. If you’re looking for a fun new hobby to take on, sewing might just be the thing for you. In addition to being interesting, it’s also a very creative endeavor. It allows you to turn boring old clothes into exciting new ones and make stylish, wearable items of clothing out of different pieces of fabric you choose. When you’re ready to start playing with shapes, colors, and patterns, a good sewing machine will be a great learning tool. You don’t have to be a skilled professional to use a sewing machine. 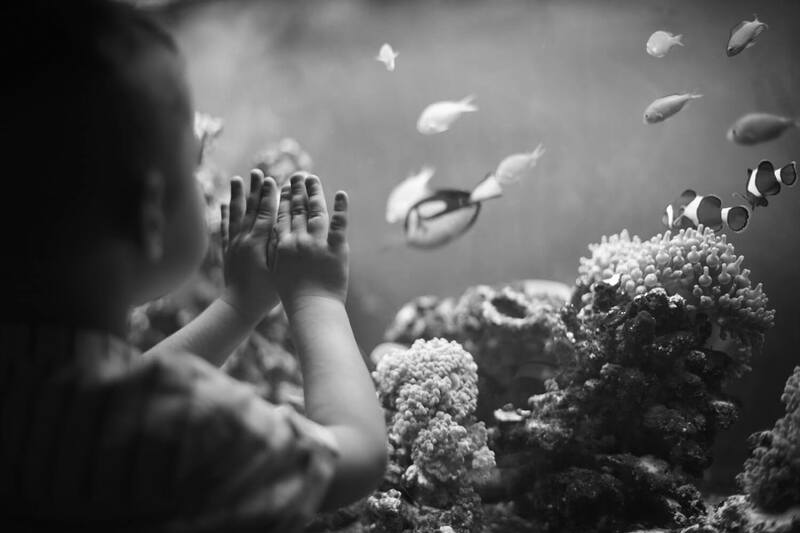 Most beginners go for one of those highly automated models with numerous features and end up using only the basic functions because the others are too complicated for newcomers. Here we’ll take a look at three sewing machines that are affordable and simple to use. 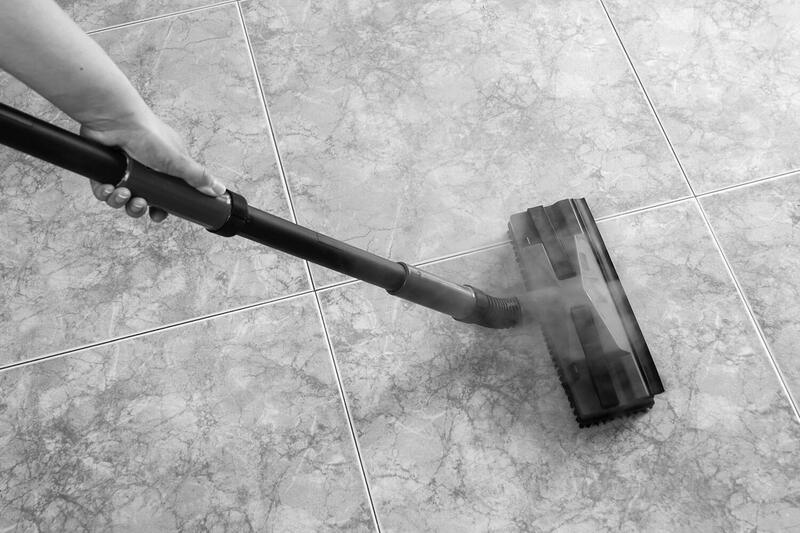 We’ll highlight their characteristics and help you decide which one’s the best for you. Brother XM2701 is one of the cheapest models available: as of this writing, it’s priced at around $100. That price point alone makes it worth considering, whether you’re new to sewing and want to test the waters, or you have a limited budget. 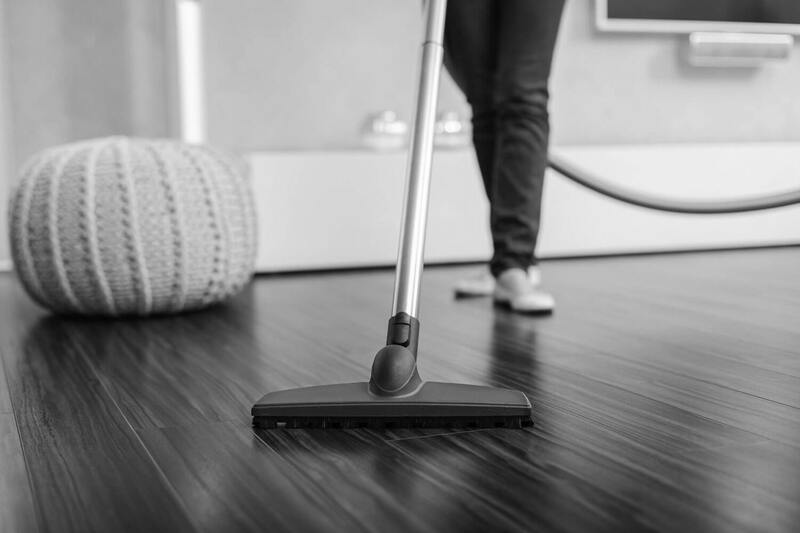 Even before you plug it in, you’ll notice how light it is – it weighs merely 16 pounds, allowing you to move it around the room. Those with any experience in sewing know how difficult it can be to thread a needle. This machine comes with an easy needle threader that pretty much does all the work for you. Just push the button and you’re ready to go! 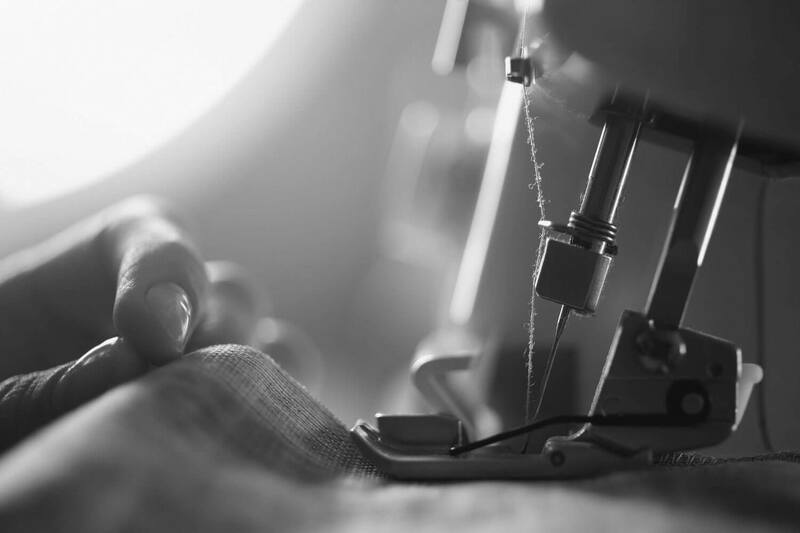 The drop-in bobbin on the top of the machine keeps the bobbin in place and ensures that all stitches you make are even. There are 27 different stitches included that you can choose by adjusting the dial on the front. All stitches (decorative, zigzag, stretch, and blind hem) are drawn above the dial. If you need to insert buttons, the machine comes with an easy-to-use one-step buttonholer. Additionally, it also features six different presser feet: blind stitch, narrow hemmer, zigzag, zipper, buttonhole, and button. The workstation utilizes a LED light to give you enough lighting even if you’re working in dimly lit spaces. There’s also a free-arm function for sewing pant legs or sleeve cuffs. The set includes three needles, as well as a neat instructional DVD to guide you through the process. This model comes with a 25-year warranty. 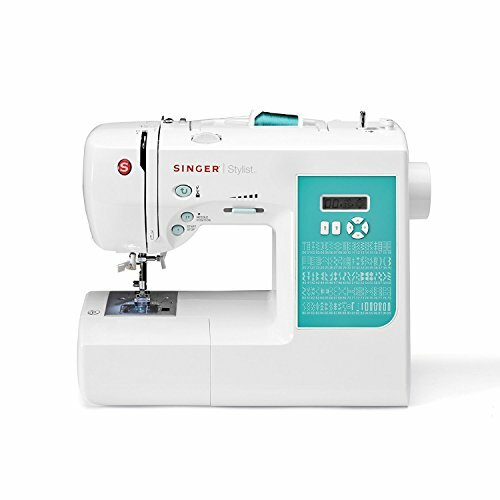 Singer 7258 Stylist comes with a whopping 100 built-in stitches, including seven one-step buttonholes and 76 decorative stitches. The variety of stitches makes this a go-to model for all types of sewing – from fashion sewing to heirloom to quilting. The Stylist has an automatic needle threader that does its job in only six seconds when you press the button, thus saving you a lot of precious time. 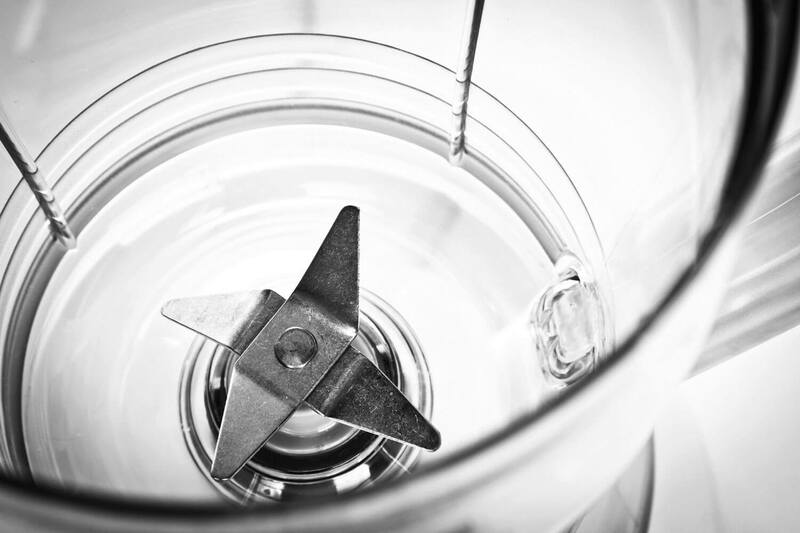 The drop-in bobbin system has a transparent cover so that you can see how much thread you have available at any time. Included in the packaging are four J15-class bobbins and 10 presser feet for different sewing projects. Although the frame is made of durable metal, the covers, levers, and pedals are made of plastic. This is quite common in budget-priced models and won’t be a problem if you handle the machine carefully. Some customers have noted that the feed lever sometimes jumps while sewing, but you can prevent this by taping it down with painter’s tape. This machine has a small LCD display and six buttons that allow you to control the functions, while a LED light illuminates the working area. For maximum precision, you can program the machine to stop sewing when the needle is up or down. Similarly, you can control the speed and set up the auto-pilot to sew even without a pedal. The speed control is especially handy if you’re new to sewing. The set also comes with an instruction manual, an intro DVD, and a 25-year warranty. 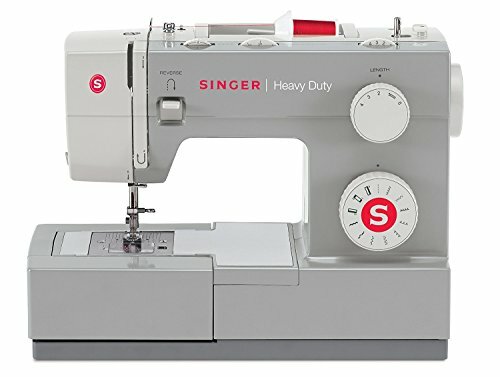 Singer 4411 Heavy Duty weighs only 14.5 pounds. The frame of the machine is built using very durable metal materials, while the bed plate utilizes stainless steel. This is excellent if you’re going to use the machine more frequently and helps make sure that it lasts for many years. One thing that sets Singer 4411 Heavy Duty apart from all other competitively priced models is its sewing speed. The motor is 60 percent stronger than those used in other similar machines, allowing you to make up to 1,100 stitches per minute. This also helps the machine operate smoothly when you’re working with thicker materials such as jeans, but you’ll have to buy special needles for handling those fabrics. Although not automated, the threading is fairly easy and quick, and the four-step automatic buttonholer makes very precise buttonholes in just seconds. There are ten additional built-in stitches: six basic and four decorative ones. Two dials on the front control stitch length and patterns and the drop-in bobbin case has a transparent cover on top of it for easier overview of the thread supply. If you’re a beginner, don’t be put off by this machine’s high speed: it’s easily adjustable using the presser foot pressure control. Four presser feet are included in the packaging and if you open the accessory tray, you’ll find everything you need in order to set up the machine there. Like the other two models highlighted in this list, Singer 4411 Heavy Duty comes with a 25-year warranty. Whether you’re an experienced tailor or a newbie, Singer 4411 Heavy Duty is our top pick. 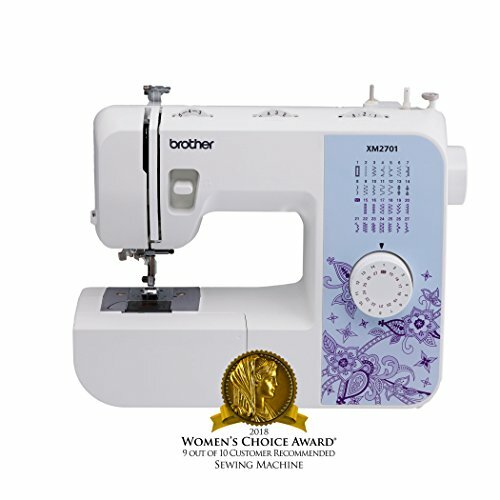 Though it lacks some advanced features, the strength of its motor makes it a perfect choice for all your sewing projects. You won’t find another machine that’s nearly as powerful at this price. Because of its sturdy metal construction, this model is also extremely durable. The inexpensive Brother XM2701 is ideal for entry-level sewing enthusiasts thanks to its price and vast set of features. The inclusion of 27 different stitches, six presser feet, and the automatic needle threader make buying this a no-brainer if you’re looking for something cheap yet feature-heavy. Singer 7258 Stylist is great if you’re working on more elaborate sewing projects due to its selection of 100 built-in stitches. The LCD display allows you to easily set up the advanced features including the autopilot, speed control, and the needle up/down function.